I love switching up my decor for the seasons, and today I wanted to share with you how I've freshened up my house for Autumn. 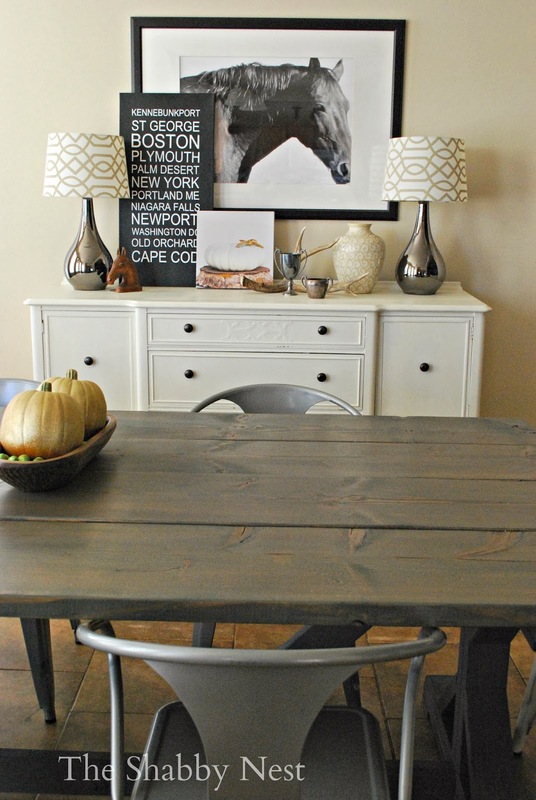 Let's start with the dining room...the changes here are subtle, but in keeping with the season. 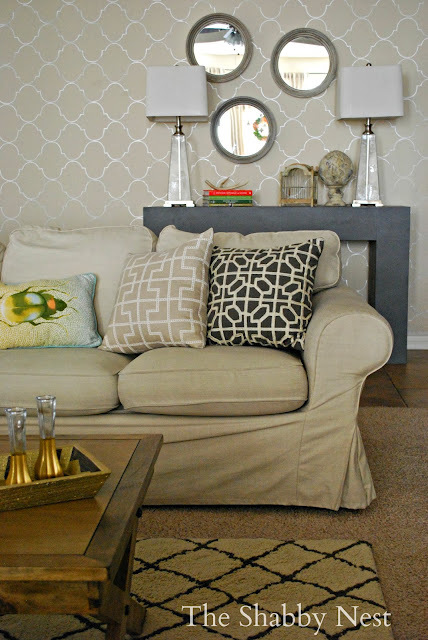 I accomplished this with the addition of a few pretty-but-neutral accessories. I added an old antler, a couple of vintage silver cups, a pretty tan and white vase...and possibly my favorite accessory here - a pretty pumpkin print (I'll tell you more about that in a minute). 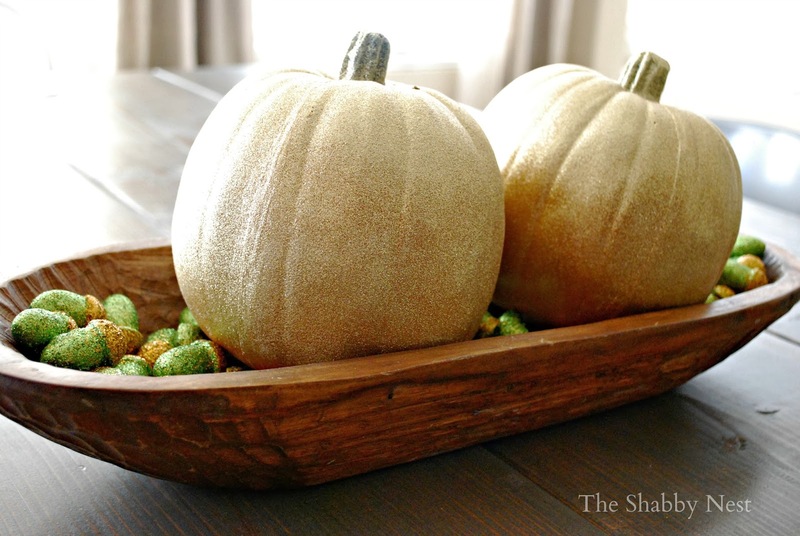 I placed my glittered pumpkins in the dough bowl on the table for a simple, but eye-catching, centerpiece. 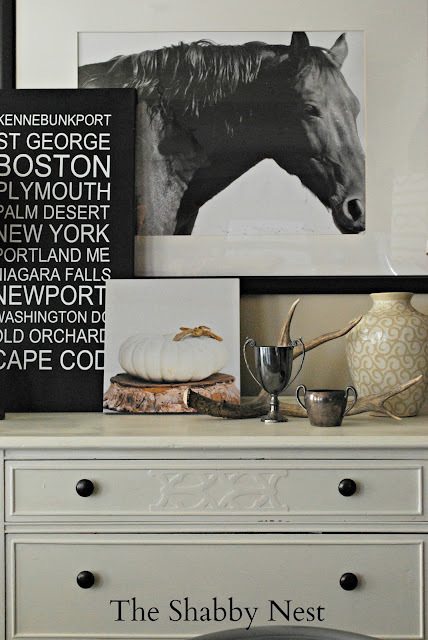 Now back to that pumpkin print...This lovely piece was created by my good bloggy friend, Paige Knudsen. Paige is an exceptionally talented photographer, and she has recently started selling some of her prints on canvas. I fell in LOVE with her pumpkin prints, and was giddy when she recently sent me one. Isn't it adorable? 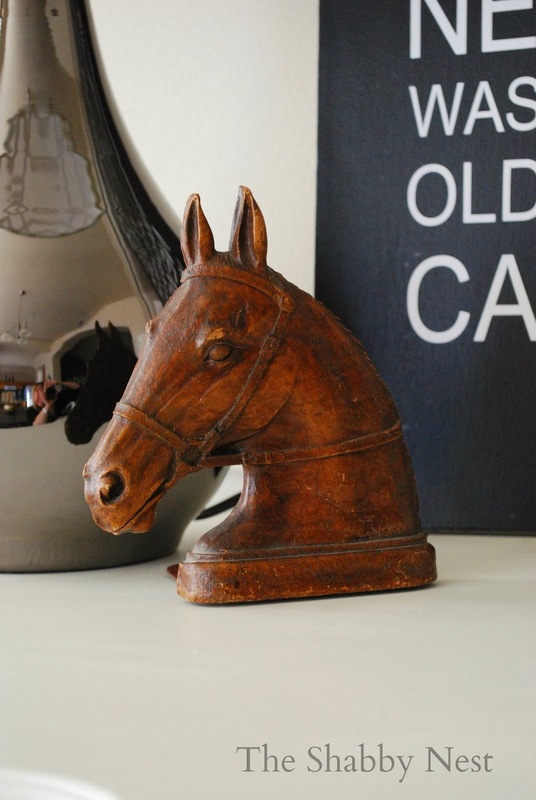 And finally, I added this pretty horse bookend. It's color and patina really seem autumn-like to me. Now on to the entry. The console table is pretty much as it has been since I first added it. To ready it for fall, I added these pretty baskets from West Elm and filled them with firewood. 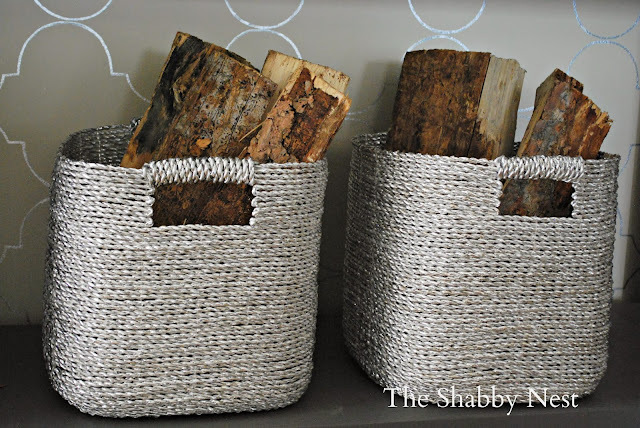 I love the way the rustic firewood plays against the sleeker baskets. 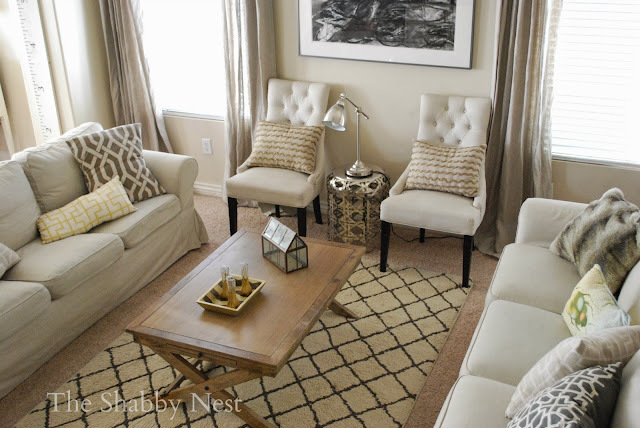 And here's my living room. 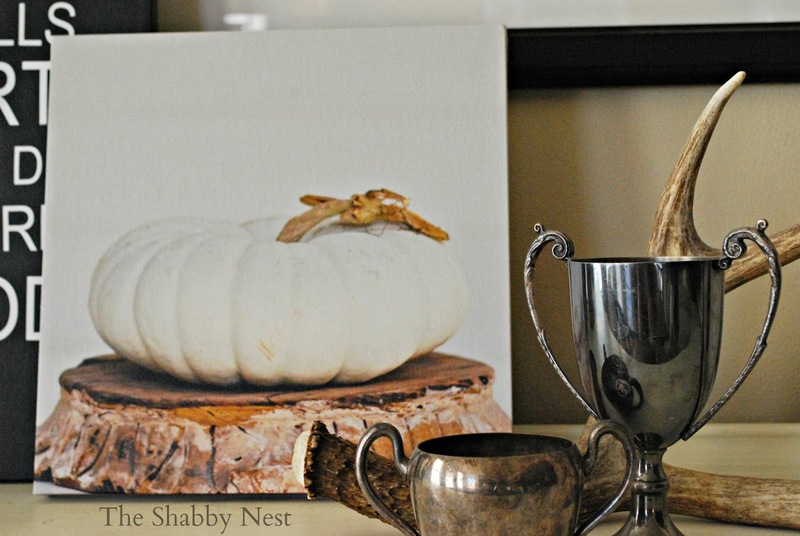 For autumn, I made it pretty in neutrals. 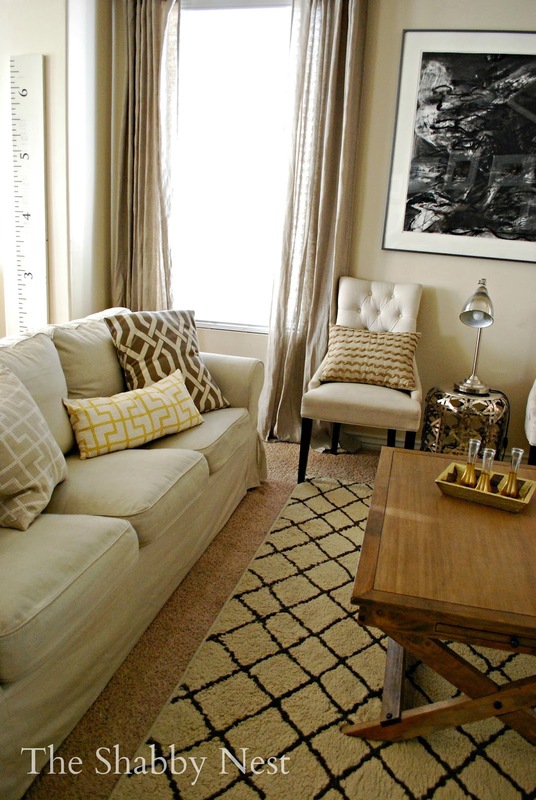 I switched out the blue rug and colorful pillows for tonal pieces whose interest lies in their patterns. The calm color palette allows bold patterns to play off one another and to keep the space interesting without overpowering it. I also threw in a fur pillow for good measure. Here you can see my cute ruler growth chart (won in a giveaway from my bloggy buddy Dear Lillie). And here's a close-up view of the pretty linen chairs and the side table which I found at Target. 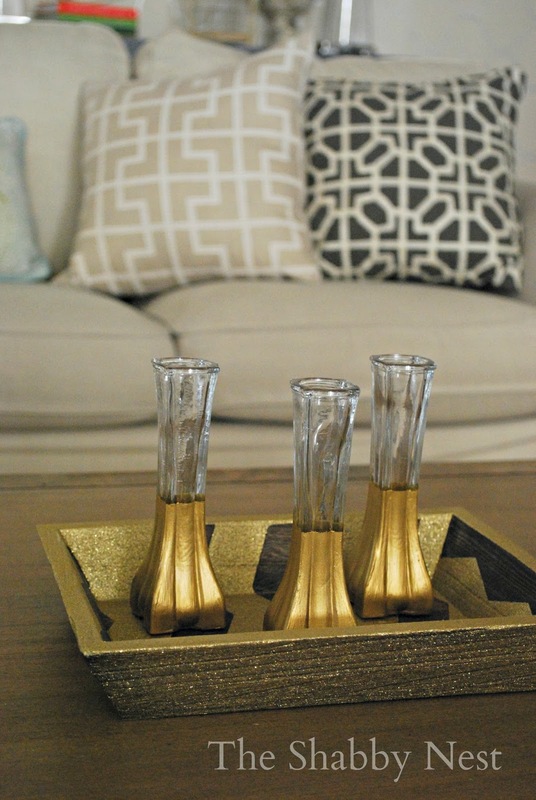 And here's what I decided to do with my paint-dipped vases and chevron tray. I love the touch of gold in this otherwise cool-hued space. I hope you liked it! 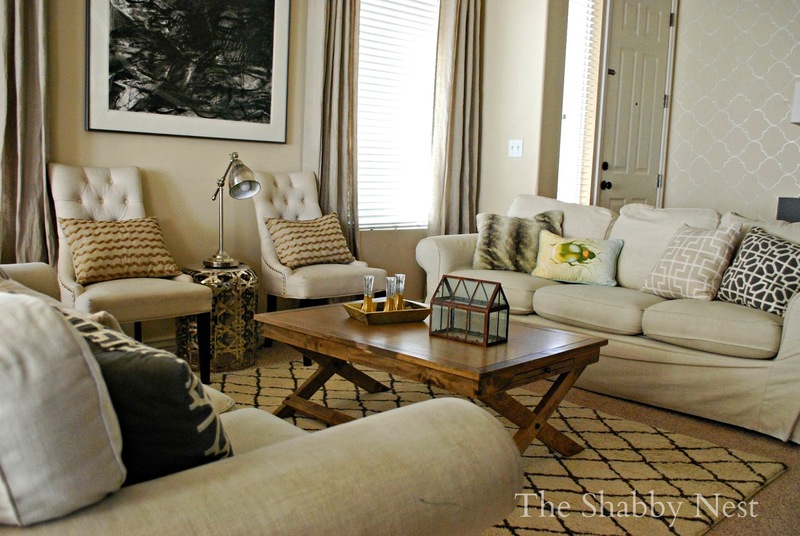 Do you freshen up your spaces seasonally? The pumpkin print was given to me by Paige Knudsen. The opinions I expressed about it are 100% mine. 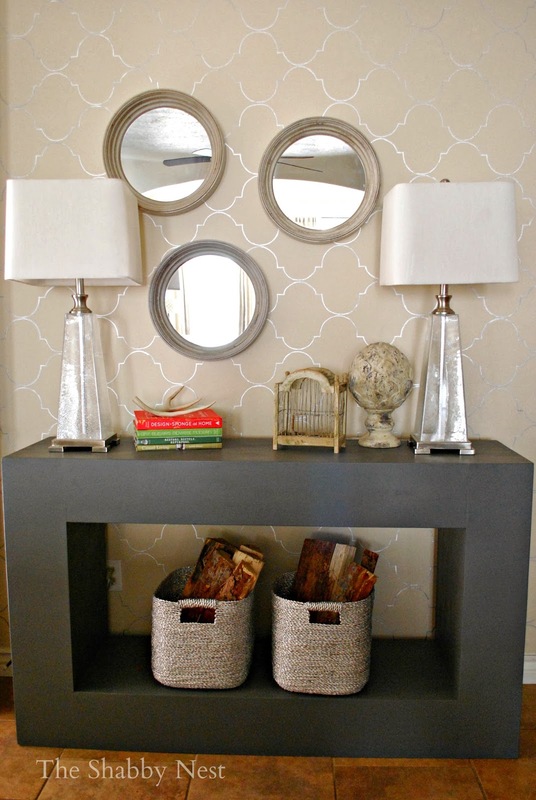 Love the side table and the chevron tray project is on my list! it is LOVELY! i love how the accessories add so much texture to the room. 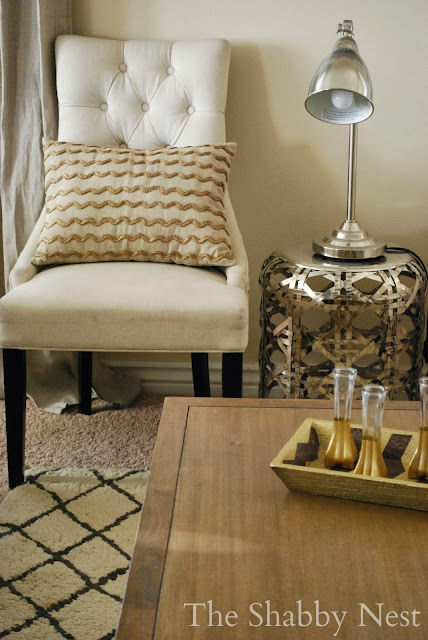 that little target side table is GORGEOUS! i have seen it online, but it is so much prettier in person. yay for autumn! !